The Archive Section Literature introduces the great diversity of Roma literature, as well as examples of texts by Yenish authors. An international team of experts will present the life and work of important writers from all over Europe and some non-European countries, including familiar names such as Papusza, Matéo Maximoff, Ceija Stojka and Mariella Mehr but encompassing lesser-known authors as well. At the heart of the archive are self-representation, identity structures and the cultural memory of the Roma. 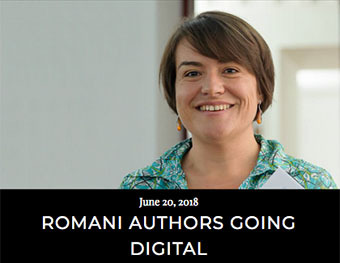 In addition to written literary texts, this archive section also contains orally transmitted texts in different varieties of the Romani language from the Phonogrammarchiv collection at the Austrian Academy of Sciences in Vienna. A further field of study is the representation of Roma in books for children and adolescents.